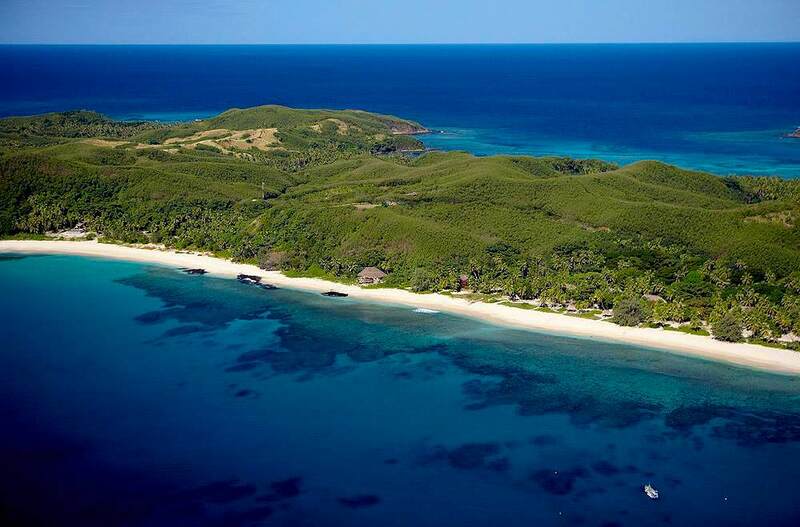 Tucked away among the most remote and culturally intact islands of Fiji is the sublime Yasawa Island Resort & Spa. Just 18 luxury bures (bungalows) share a stand of waving palms, each peeking out at a stretch of pristine white beach, on an island overlooked by the modern world. Photo copyright Yasawa Island Resort & Spa. Video copyright Yasawa Island Resort. Each air-conditioned bure is superbly fitted in contemporary Fijian-style local timbers, traditional art, thatched roofs and timber plantation shutters. Each has its own thatched beach hut, a pair of outdoor day-beds on a spacious sundeck, a discreet outdoor shower and a hammock strung between the palms. Activities include diving on pristine coral reefs, massage and beauty treatments at the beachfront Baravi Spa, snorkeling, sailing, windsurfing and tennis. The resort can arrange visits to local villages and boat expeditions to a deserted beach for a picnic platter.